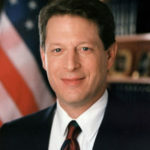 Al Gore first exhibited an entrepreneurial flair as a government official with his ‘waste-busting’ “Reinventing Government” campaign as Bill Clinton’s VP. But he is obviously a full blown social entrepreneur as evidenced by his interest in technology, the Internet, and preserving the environment. To those who rue his “overthrow” by the Supreme Court it may be some consolation that he may be able to do more good for the world as an advocate rather than as a politician. 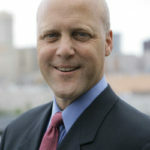 New Orleans Mayor Mitch Landrieu during his time as Louisiana Lieutenant Governor set up an Office of Social Entrepreneurship within the Lieutenant Governor’s Office. The Office of Social Entrepreneurship sponsored seminars such as, “Changing Louisiana Through Volunteerism and Social Entrepreneurship,” and brought in speakers such as Jeff Swartz, Timberland Inc.’s president and chief executive officer; and Joi Gordon, Dress for Success’ worldwide president and chief executive officer. The seminars were designed to provide information and ideas, including sources of advice and grants, to people and organizations that will try the social entrepreneurship approach. 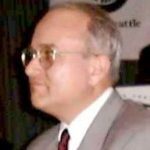 The City of Seattle sponsored a Social Enterprise Initiative 1998-2001 under the leadership of Mark Pomerantz, Strategic Advisor in the Seattle Strategic Planning Office. The City and Pioneer Human Services sponsored the Seattle Social Enterprise Expo in November 1999 which featured the products and services of 19 social enterprises in Seattle. This event inspired the formation of the Seattle Social Enterprise Consortium consisting of the City and seven nonprofit agencies. Members of these agencies planned and developed the First Seattle Social Investor’s Forum in May 2000 one of the first two social venture fairs in the U.S. Initial funding came from the United Way, City of Seattle, and the Seattle Social Venture Partners. Event coordination was provided by Mark Pomerantz . This event and seven additional investors forums (2000-2004) provided invaluable entrepreneurial training for nonprofit organizations and raised over $800,000 in cash, loans, and in-kind donations. The Gates Foundation of Seattle provided funding for two Forums. The Consortium also sponsored along with the Greater Seattle Chamber of Commerce, the Seattle New Philanthropies Conference in September 2000 attended by 300 persons who heard about Venture Philanthropy, Internet-based fundraising, and partnerships between forprofits and nonprofits. Jeff Bingaman has put forward many ideas for providing tax incentives to corporations that act responsibly and help their communities. Conversely, he favors disincentives to those that close faciities and eliminate and export jobs. He also is a supporter of small business and entrepreneurship. As Michael Shuman has pointed out providing huge tax incentives to big companies to relocate is a zero-sum game. Those billions in tax monies if used as incentives for new small businesses could have a much greater multiplier effect. Cong. 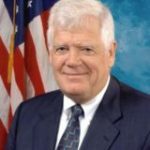 McDermott, MD, has been a leading advocate for universal, single payer health insurance. He is also the author of a “Fairness Agenda for America” the principles of which are: dignified work, environmental justice, economic redistribution, democratic participation, community empowerment, global non-violence, and social justice. Some of his specific proposals in support of these goals are: developing and renewing infrastructure such as mass transit, schools, and health clinics; government job creation;alternative trade compacts that protect workers; cutting the defense budget; negotiating with Russia to eliminate their nukes; more unfettered federal funds for communities; eliminating subsidies for polluters and replacing them with subsidies for enviromentally sound producers;increasing funds for low-income housing; and limiting campaign spending.